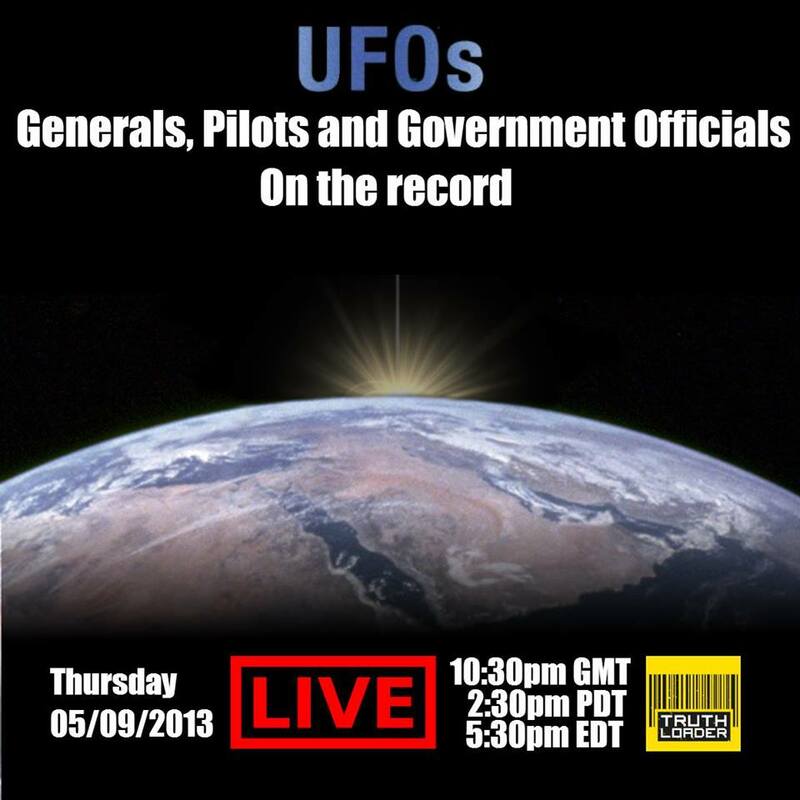 Generals, Pilots and Government officials will go on the record live to discuss their experiences with UFOs this Thursday at 10:30pm GMT, 2:30 PDT, 5:30 EDT. A panel of credible witnesses will join the YouTube channel Truthloader via webcam, each speaking for 10 minutes before a 30 minute Q and A session. The panel will include Leslie Kean, author of the New York Times best seller, UFOs, who spent 10 years researching UFOs, gathering together the best documented, and most credible UFO sightings. 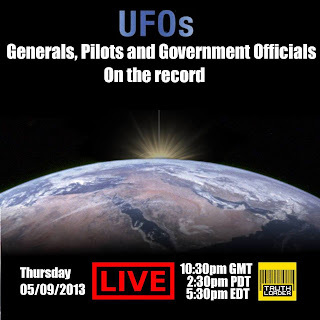 Joining Leslie Kean on the panel is Colonel Charles Halt, who in 1980 officially reported a UFO at RAF Woodbridge in England, which later became known as The Rendlesham Forest Incident. Jose Lay is a researcher for CEFAA in Chile, a government funded organisation with whose mission is to scientifically collect, analyze and study all reports of Unidentified Aerial Phenomena (UAP) in Chile. “With the 30 minutes Q and A at the end of the event, it’s an opportunity to ask some of the most credible UFO witnesses some questions. If people want to take part, leave a comment on the live video on Truthloader, post on our Facebook wall, or tweet us @truthloader” said Truthloader Producer, Phil Harper. The National Archives of Australia holds a number of records relating to UFOs, flying saucers and other unidentified aerial phenomena. The documents became available in August 2012 under Australia's 30-year rule. This rule orders the release of government documents 30 years after they were created. Most of these records date from the 1950's to the 70's, when public interest in UFOs was high and many sightings were reported to Commonwealth authorities. Darin does a great rundown the last months UFO sightings over Salt Lake City, Utah, USA; Terrace, BC, Canada; Miami, Florida, USA; Massey, Ontario, Canada; Niagara Falls, Ontario, Canada; Whistler, BC, Canada; New Zealand; Oregon; Scaramento, California, USA; and MARS. These 2 parallel Ufo lights were filed over this town on 31st August 2013. What could these lights be?